Visual artist Debra Rushfeldt creates works with graphite and charcoal that explore the idea of ground or being grounded. With a focus on repetition, resistance, weight, and the manipulation of scale, Rushfeldt captures the extraordinary in the ordinary subject matter from her personal world. A short artist talk will be presented at the opening. 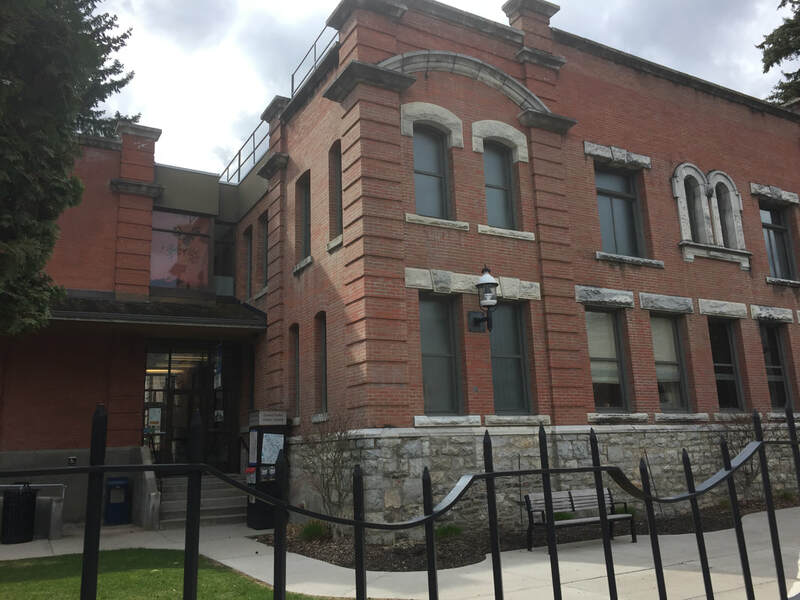 I was very pleased to have my work exhibited at the cosy and beautiful Langham Gallery in Kaslo, The gallery is a heritage building that hosts 2 galleries and a theater. Curator Maggie Tchir and gallery staff provided a great opening with lots of drinks and snacks, and live music by Jan Van Gold. I gave an artist talk to about 30 interested art lovers, on a snowy winter evening in the mountains. Later we gathered at the Kaslo Hotel Pub for drinks and live music. In 2017 I was privileged to exhibit at the gorgeous Gallery 2 in Grand Forks. This amazing facility was the old city hall, and is loaded with history and charm. Curator Ted Fogg and his partner Andrea went out of their way for me by arranging a closing for my exhibition, as I was in Guatemala when the show opened in Feb. I did an afternoon artist talk in April to a lively audience of 40, with refreshments served afterwards, and came away from Grand Forks very impressed with the warmth of the community, and just a little bit envious of their gallery. 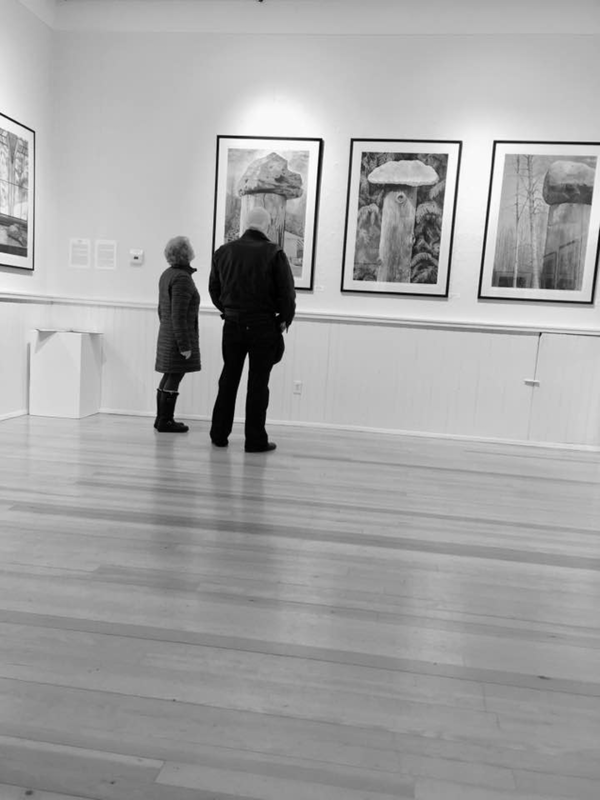 I loved exhibiting my drawings at the Okotoks Art Gallery in 2014. The staff there were so helpful and easy to work with, and the media and press went out of their way to give my exhibition coverage. I had many old friends from the Calgary art community make their way out to Okotoks to attend my opening, and it was a lovely affair. The next day I taught an all ages drawing workshop in the classroom downstairs from the gallery, and had a great time connecting with the Okotoks Art Gallery community.